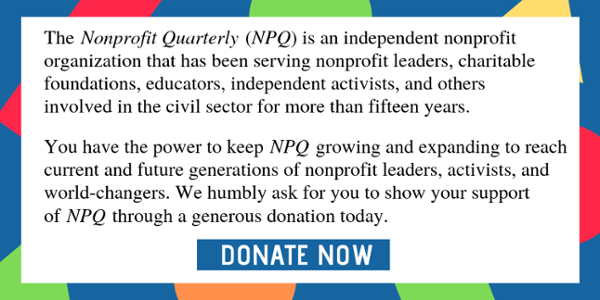 The bid by students at Grinnell College to expand their student union is a case in point of how nonprofits that fail to internalize democratic structure and values ultimately end up serving interests other than their primary stakeholders. 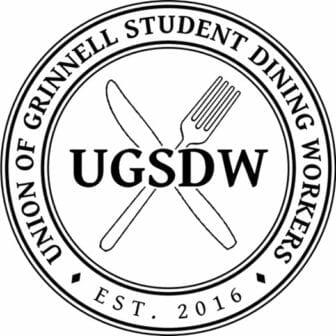 The university has flexed its superior resources and legal power trying to prevent the Union of Grinnell Student Dining Workers (UGSDW) from expanding to include all student workers on campus, but on-the-ground organizers have stuck to their goals. In 2016, Grinnell student dining service workers on campus formed a union to negotiate with the college on issues like fair pay and job stability. UGSDW formed the same year that the National Labor Relations Board (NLRB) ruled that Columbia University’s graduate students, who work as research and teaching assistants, could unionize. This November, Grinnell student workers voted five-to-one to expand the union to include all student workers on campus, including tutors and researchers. All of the college’s students are undergraduates, and over 90 percent of them will work on campus at some point. At Grinnell, the academic relationship between undergraduate students and the College does not end at the classroom door, as at many colleges and universities…the “work”…is an integral part of the learning process that occurs both in and out of Grinnell’s classrooms, laboratories and lecture halls. Of course, it’s typical that a learning process must extend outside the classroom; Grinnell has no exceptional claim on an integrated learning experience. The argument seems meant to establish an immeasurable (and therefore ungovernable) realm of student experience, as a way of creating separation between work that can be unionized and that which cannot. But the college pays its tutors an hourly wage, just like it pays its dining service workers. Grinnell—like Columbia, Yale, Harvard, and the University of Chicago—has argued that unionization in areas of work related to education will ultimately be detrimental to learning. However, studies have shown this not to be the case. The first graduate student union was formed at the University of Wisconsin-Madison in 1969, and today, over 64,000 graduate student employees are unionized at public schools. A 2014 survey found that 90 percent of faculty at schools where student unions have collective bargaining agreements said that the bargaining didn’t inhibit their ability to instruct, mentor, or advise their students. This makes logical sense: the bargaining agreements govern students’ relationships with university management, not what happens in the classroom. The universities’ claim that work by students isn’t really work is based in universities’ conceptions of themselves as disconnected from the regular workings of a capitalist economy and relies on their institutional power and prestige for its credibility. Unfortunately, under a federal government committed to the dominating power of big businesses, the student union expansion is imperiled. President Trump has appointed three out of four members of the current National Labor Relations Board, and two of them were previously management-side labor lawyers, which makes the board unlikely to rule in favor of a student union. Senator Bernie Sanders (D-VT) wrote, “To appeal this decision to an antiworker, Trump-appointed National Relations Labor Board [sic] is not something that a world-class institution of higher learning should do,” but it is the path some universities chose to follow. Historically, the labor movement has advanced not through court decisions and government institutions, but through the collective power of working people…UGSDW will not flag in its fight for the rights of student workers, at Grinnell and across the nation, to organize and bargain collectively. The next day, students demonstrated in Nollen House, the college’s administration building, and the university reversed their position, saying Grinnell President Raynard Kington would not challenge the withdrawal and would meet with the union. The Raise the Wage Act and the federal Domestic Workers Bill of Rights are platforms for the Democratic Party without any path to becoming law. But they do go a long way in defining the meaning of a “good job” in 21st-century America.